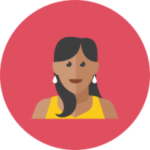 Are you looking to form a nonprofit, but you don’t want to go it alone? The DIY option can be confusing due to the multiple layers of compliance necessary for nonprofits, but it can also be hard to identify which nonprofit formation provider has the best deal. As a complement to your own research, we spent many hours researching the details of all the popular online nonprofit services. Our goal is to provide you with the info you need to make the best decision for your business. In this LegalZoom nonprofit review, we’ll go over the pros and cons, pricing and features, customer reviews, and much more. Let’s find out if they’re a good fit for your future organization! LegalZoom’s satisfaction guarantee ensures that if you’re not completely happy with their services, they’ll refund any fees you paid to LegalZoom as long as you request your refund within 60 days. With nearly 4 million customers served since they opened their doors back in 2001, they have a client volume that most competitors can’t touch, and speaks to how popular LegalZoom is. Their website is protected at all times by Norton Web Security, which scans for malware and other vulnerabilities while encrypting your private data. They understand that a “one size fits all” approach doesn’t work for nonprofit formation, with three service packages supplemented by some a la carte features. It’s easy to find the level of service that’s right for your business. When it comes to customer feedback, LegalZoom stumbles a bit. It’s not overly critical, but it is a mixed bag, which is to be expected somewhat with a company of this size. The bigger your operation, the higher the likelihood that some unsatisfied customers will slip through the cracks. 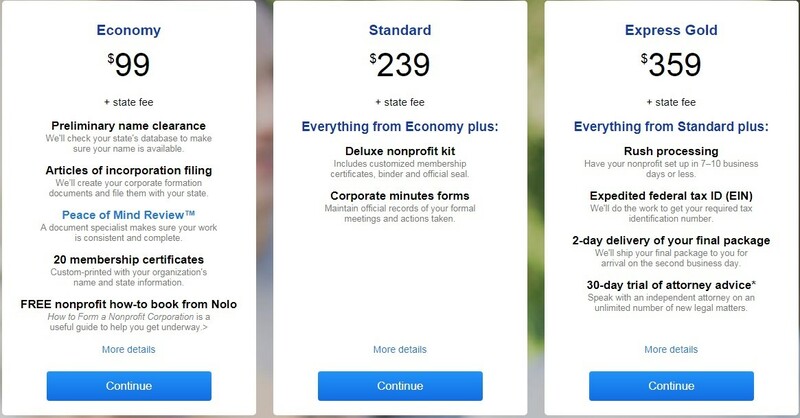 With LegalZoom, you have the option of three nonprofit formation packages, ranging from $99 to $359 (plus state fee): Economy, Standard, and Express Gold. What It Includes: The basics of formation come with this package, including a name availability check, and the preparation and filing of your articles of incorporation. In addition, you get their Peace of Mind Review in which they double-check your forms for potential mistakes, ten sample membership certificates to provide proof of membership, and LegalZoom’s newsletter and nonprofit formation guidebook. Who It’s Right For: Any entrepreneur looking for the fundamental basics of nonprofit formation should be interested in this package. What It Includes: Everything from the Economy package, plus a customized nonprofit kit and seal to keep your important documents organized, 20 customized membership certificates, and minutes forms to maintain records for your business meetings. Who It’s Right For: The kit and seal are largely symbolic these days, so we’re not sure this package is all that valuable. This package costs $140 more than Economy, and there just doesn’t seem to be that much value here. What It Includes: Everything from the Standard package, plus rush order processing, two-day delivery of your completed filing, and expedited processing for your federal tax ID number or EIN. Please note that this does not include your actual EIN, which costs an extra $49 to add on to Express Gold. Who It’s Right For: This is basically the “I’m in a hurry” package. In our opinion, most customers should be able to get by with adding an EIN to the Economy tier. Most nonprofits do need an EIN, which makes it a bit odd that it’s not included in any of LegalZoom’s formation packages, but a total of $178 for nonprofit formation and an EIN is still a solid price point. Customer feedback is not exactly LegalZoom’s strong suit, but it’s not a huge concern either. The largest collection of online reviews for LegalZoom is on SiteJabber, where they hold a respectable but unremarkable 3.3 average score out of 5, while feedback on other sites falls a bit further on the critical side of the scale. Their happy customers praise them for their turnaround times and friendly customer support, while their unsatisfied clients bring up issues like inconsistent service reps and billing confusion. Conclusion: It’s tough for a company of LegalZoom’s size and reach to satisfy every single customer, so the mixed nature of their online feedback is not surprising. LegalZoom is a solid nonprofit formation service due to their satisfaction guarantee and their impressive brand power. Still, it’s always a good idea to keep an eye on the competition, so let’s also take a look at IncFile, our favorite nonprofit formation service. Pricing: While LegalZoom’s base package has a reasonable $99 price point, IncFile offers nonprofit formation service starting at just $49. 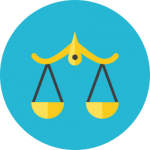 Features: LegalZoom and IncFile have similar nonprofit packages, but IncFile’s is more fully featured. While LegalZoom doesn’t add much of anything to the basics ― a business name search, along with the preparation and filing of your articles of incorporation ― IncFile adds a whole year of registered agent service, which most organizations need anyway. Customer Support: IncFile has a tremendous reputation when it comes to customer service, as their representatives are known to be professional and helpful at essentially all times. We really like LegalZoom’s extended support hours (8am-10pm ET M-F, 10am-7pm ET weekends), but they don’t have the same reputation for top-notch service that IncFile does. Experience: LegalZoom is an industry giant, as they’ve served 3.6 million customers since they started providing business services in 2001. IncFile is a midsize company, with 150,000+ clients served since they opened in 2004. It’s a possibility, but not always recommended seeing as nonprofits can have some tricky compliance requirements. Providers like LegalZoom can alleviate this concern, leaving you more time to actually start your organization. If you do want to go the DIY route, check out our comprehensive how-to guide. If you’re unsatisfied for any reason, simply request a refund within 60 days of purchase and they’ll pay back any fees paid to LegalZoom. With Norton Web Security protecting their site, you can feel confident in your security with LegalZoom. They certainly do. Simply give them a call or send them an email at any time. It doesn’t matter if you formed your nonprofit last week or months ago, they’re willing and able to assist. LegalZoom scores a 4.4/5 in our book. Their brand popularity is impressive and they have a satisfaction guarantee that serves as a nice safety net too. If you’re ready to get started with LegalZoom, or you need more time to review your other options, use the buttons below.